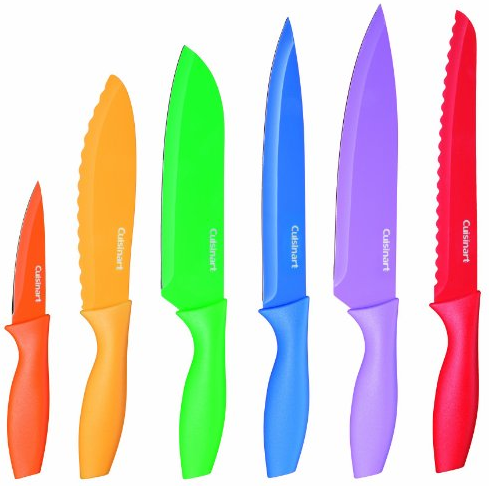 Cuisinart Advantage 12-Piece Knife Set Only $22.47 PLUS FREE Shipping with Prime! 55% Off! You are here: Home / Great Deals / Amazon Deals / Cuisinart Advantage 12-Piece Knife Set Only $22.47 PLUS FREE Shipping with Prime! 55% Off! This set of knives is so much fun and would be perfect for taking camping or storing in your RV this summer! Get the Cuisinart Advantage 12-Piece Knife Set Only $22.47 PLUS FREE Shipping with Prime! It is 55% Off!